1) American Heart Association (AHA):Randall Flitz is a Regional Faculty member of AHA and certified to create BLS and Heartsaver Instructors. AHA requires all instructors to be aligned with a Community Training Center (CTC). Aligned means instructors must have a CTC that oversees their training. I Know CPR is an approved CTC for AHA and can assist with all required functions necessary to teach their courses. 2) Medic First Aid International (MFAI): Randall Flitz is a Master Instructor Trainer certified to create instructors who can teach courses offered by MFAI. MFAI also requires instructors to align with a recognized training center. I Know CPR can accept new instructors into our training center, or assist a facility or instructor to become an independent training center. 3) American Safety & Health Institute (ASHI): Randall Flitz is a Master Instructor Trainer certified to create instructors who can teach courses offered by ASHI. ASHI also requires instructors to align with a recognized training center. 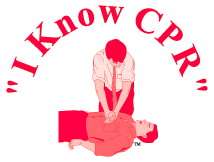 I Know CPR can accept new instructors into our training center, or assist a facility or instructor to become an independent training center. The process and fees vary depending on the programs you want to be able to teach. Please contact I Know CPR today for more information.